Other posts on this project: Back to School Bag Pt. 1. I’ve got all the pieces ready except for the straps. 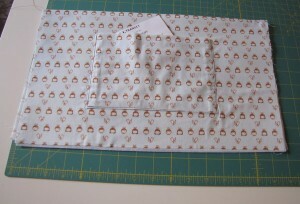 I’ve put in the interfacing, matched up lining fabrics with outer fabrics, and I’m ready to sew it together. Maybe I’ll do that tomorrow. The only thing I regret about using a fabric I had so little of is that the pattern on the sides and bottom will be going in a different direction than the pattern on the front and back. I didn’t have enough yardage to cut a long strip with the words and figures going the same direction as the front and back panels. 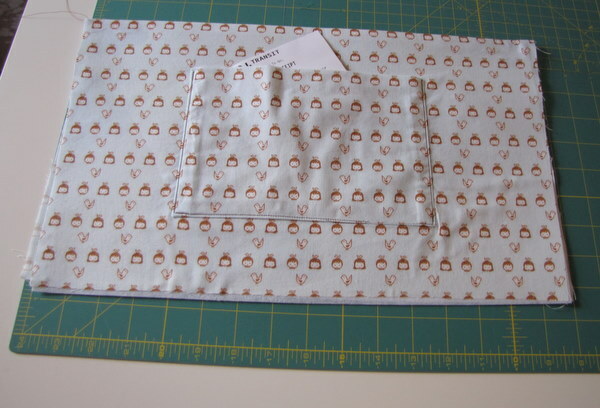 But I love that I managed to line up the small pocket so it blends in with the rest of the fabric. I totally put this pocket on the wrong piece (it was supposed to be on the side of the bag, I put it on a divider pocket inside the bag), but I’m still happy with it. But this is still fairly experimental. If this turns out to be a less than ideal school bag, I’ll use it for something else and maybe try making another one.